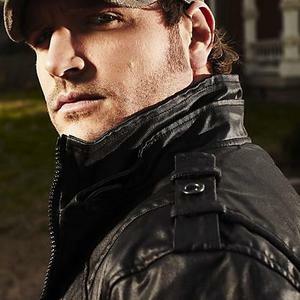 Born and raised in Kansas, Jerrod Niemann cut his teeth on country and popular music while still a small child. He spent the majority of his college years in Texas performing in local clubs. Writing songs since the age of eight, he majored in Performance Art Technology at South Plains College in Levelland, Texas. After signing a developmental deal with Mercury Records in 2003, he toured over half the country with his band "The Saloonitics" and has penned songs for Neal McCoy, Julie Roberts, Jamey Johnson, John Anderson, and Garth Brooks. After signing a developmental deal with Mercury Records in 2003, he toured over half the country with his band "The Saloonitics" and has penned songs for Neal McCoy, Julie Roberts, Jamey Johnson, John Anderson, and Garth Brooks. He scored his first No.1 hit song with Garth Brooks in 2005 with "Good Ride Cowboy", a tribute to Chris LeDoux. In 2010 he released the album Judge Jerrod & the Hung Jury, which debuted at No. 1 and yielded the No. 1 hit ?Lover, Lover? and the Top 5 single ?What Do You Want?. In 2012 he released sophomore album Free The Music, incorporating multiple genres including country, rock, honky-tonk, Dixieland jazz and reggae and co-produced by Dave Brainard.